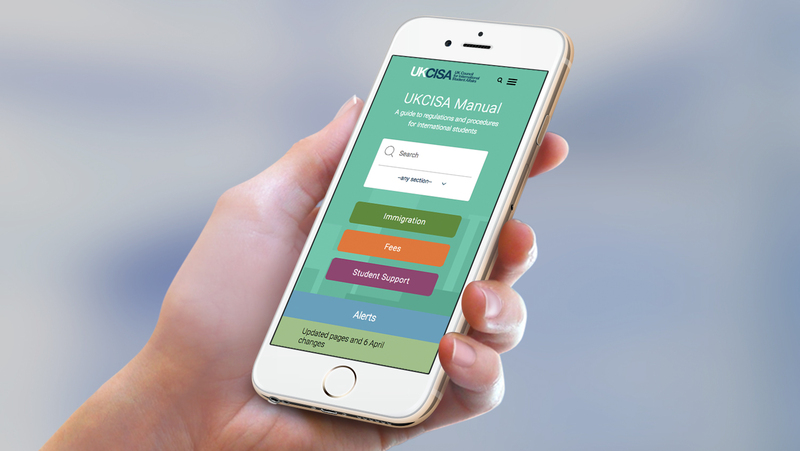 Following the success of the Students site we launched The UKCISA Manual in February 2017. The Manual is the definitive guide to regulations and legislation for international student advisors; used daily in over 500 institutions across the country. 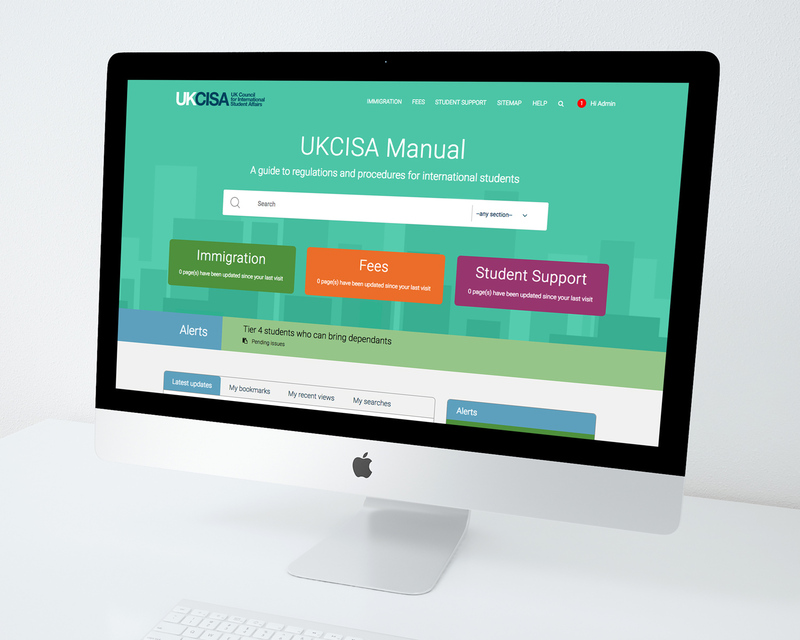 Previously UKCISA produced a printed manual, however immigration rules change so frequently that the manual was out of date before going to print. The Manual is the key feature of UKCISA’s paid membership package, so successful transition to online was critically important. The key challenge was taking a lot of dense, complex content and turning it into something attractive and user friendly. 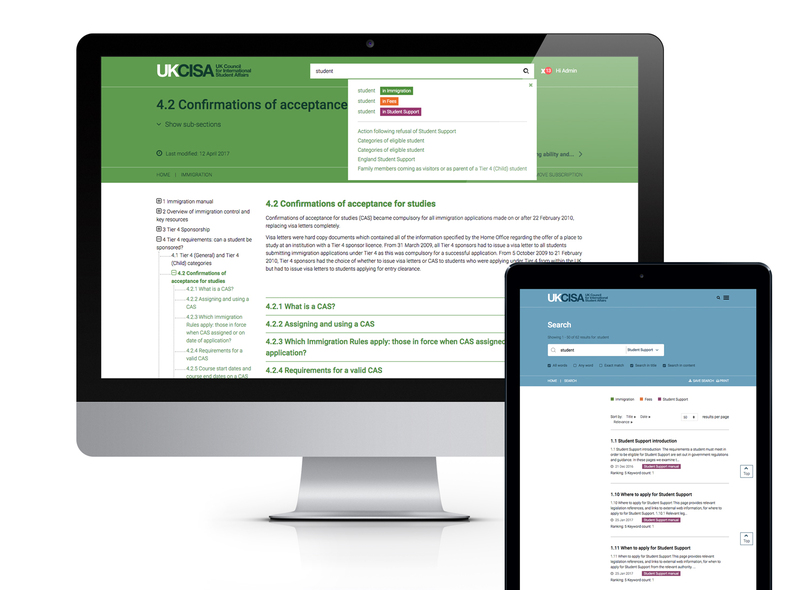 UKCISA members rely on the manual for up-to-the-minute- facts on important changes in regulations, so it was essential that they saw the online version as reliable and accessible. The online manual was developed with specialist advisers to ensure that the usability was exactly what was needed. Admin tools are intuitive and simple to use, to allow UKCISA staff to create quick fire responses to sudden changes in key legislation. 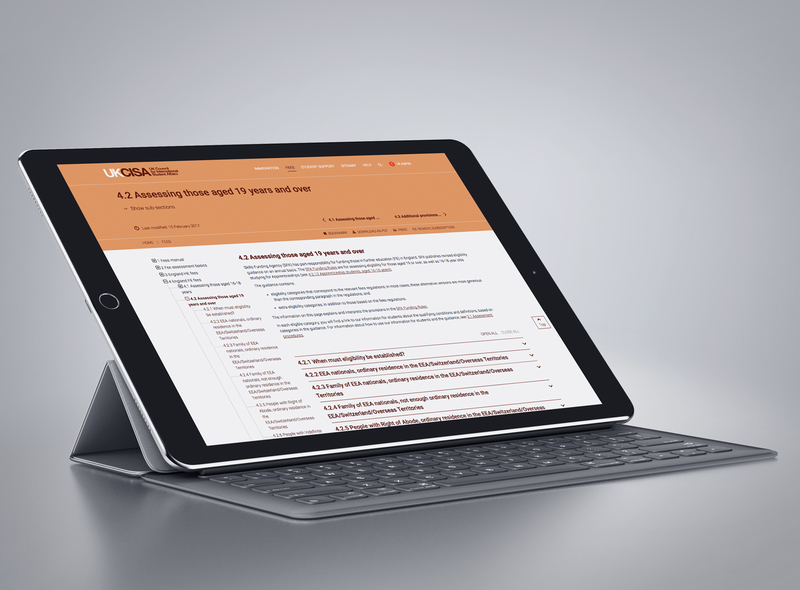 Members can subscribe to content updates, and have access to a My Space area for personalised content, such as saved searches, recent views and bookmarks. The move from print publication to online resource has had a huge impact on their membership program and received extremely positive feedback.